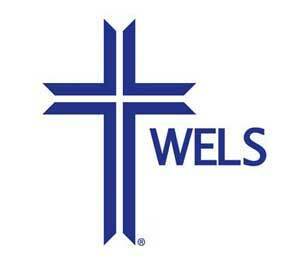 We are out of the Madison, WI area and I try to limit our searches to as close to home as we can. A “real job” and kids activities certainly keep me busy. However, I always say I will travel for the right ring and the right situation. I have even taken vacation to do a ring hunt, which some people think is crazy. I have only said no to a handful of ring hunts, and most of those I have referred to a friend who lives closer. Unfortunately, there just isn’t enough time in the day sometimes. This was the case with the “Love You More” lost ring. I received a call from Kyle and Emily one afternoon desperately looking for someone to help find her husband’s lost ring in a sand volleyball court. 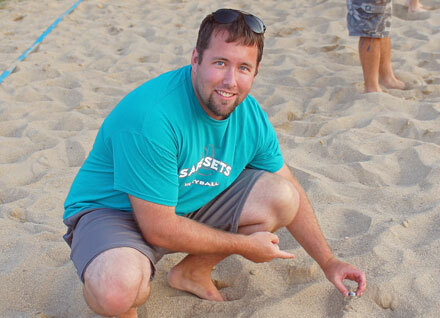 He had lost the ring while playing sand volleyball – actually feeling it fall from his finder while lunging for a volleyball. The sand volleyball court was at a local bar, The Red Zone, who hosted a sand volleyball league. Emily explained that they rake the sand every week before league play and this was scheduled to happen … yesterday. They had convinced the owner to hold off as long as possible to keep the court the way it was and avoid damaging the ring. The only problem was it was in Milton, which was over an hour away. It was a week night and I couldn’t take off of work as I was working on a big project at work. I knew of another Ring Finder in her area and recommended they first try to contact him to see if he could come out right away. Emily tried and tried throughout the day, but never heard back from the other Ring Finder. We kept texting each other back and forth … and eventually at 8:00 pm, I decided I’d just jump in the car and head down to Milton. After helping the kids with homework and putting everyone to bed, I started my journey to Milton. I arrived at 10:30 pm and meet Kyle. 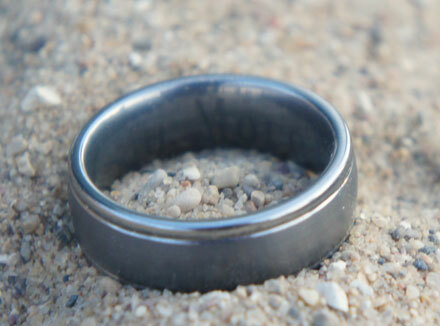 We have found a lost ring in a sand volleyball court before, but never a lost wedding ring. “Love you more”. That is what my wife had engraved in our wedding ring three years ago this past July. Unfortunately for me, I wasn’t able to look at the wonderful inscription on my anniversary as I lost my wedding band during a volleyball league at the Red Zone in Milton, WI. During our second game, when lunging for a ball, I felt my wedding ring go flying from my finger into the sand. My team and numerous other teams helped scour the sand but to no avail would that ring show itself. Someone from another team even went so far as go home to get his own metal detector to look for it but couldn’t turn it up. A couple of days went by and I brought my family back with me to look again. My two year old and I dug trenches and sifted sand in the volleyball court for what seemed for hours in the hot sun but still that “Love you more” didn’t show itself. The kind owners of the Red Zone promised not to rake the sand pit until the very last moment before leagues had to play again. During this time my wonderful, understanding and compassionate wife had been looking online to rent a metal detector so that we could continue to search for it. At this point my wife came across the name of someone that found rings as a hobby. When my wife first contacted Dan he seemed extremely nice and willing to help. When we told him that we were in Milton, he suggested someone closer to us. When we said that we couldn’t get in contact with this person, he promised to come down and help. And when we told him that the bar needed to rake the pit, he was willing to drive down an hour after work to search the sand pit late at night. As the clock reached 10:30 pm Dan showed up, with a smile and a hearty handshake ready to go. He efficiently started to pull out his equipment while asking me to share how I lost the ring. While I stated that I’m sure that my wife shared it correctly, he remarked that sometimes “husbands and wives see things a little differently”. As I shared the story he dropped a similar type ring in the sand pit and calibrated his metal detector to more effectively find the ring. At the conclusion of my story and a quick demonstration of where the ring might have gone, he put on his gear to start sweeping the court. Just before he started to look he looked back over his shoulder and joked “this should take me less than a couple of minutes to find.” Before I could stop chuckling at the quip, Dan finished a quick sweep of the sand volleyball court, stopping at a soft ping. At this point he asked me to come over with a smaller metal detector and a sifter. As I looked up, still laughing about the speed of this process, I scooped up a pocket of sand where the wand was vibrating and low and behold, my ring was at the bottom. Throughout this entire process, from first contact to putting that ring back on my finger, Dan and numerous others helped make what could have been a terrible anniversary into a wonderful bonding moment for my wife and me. My wife and I would like to thank Dan for his professionalism and good natured attitude about this process as well as hope that this story helps others find there lost “love you mores”. Total search time was under 5 mins, which is not the norm. This search had one thing going for it – Kyle knew he lost the ring and he knew where he lost his ring. Under these circumstances, we can almost guarantee that we will find the ring … might take 5 mins, or it might take 5 hours, but we will find it. For those of you keeping track, this was lost ring #23 (I know we were just at #31, but this is a hunt from this summer I’m just know getting around to writing up)! This Lost Ring Story was also a featured story in the Milton Courier Newspaper. If you know someone who has lost their ring outside in the yard, in the water, in the snow or in a volleyball court … give us a call! Doesn’t matter if it was yesterday, the week before or 10 years ago – we can find it. Please “Like” our Facebook page and you will get every Lost Ring Story delivered to you. Remember, every ring has a story, what’s yours?